Elizabeth Balfour is a litigator and works out of the firm's Del Mar Heights (Northern San Diego) office. Ms. Balfour handles securities litigation, including the defense of shareholder derivative suits, actions to rescind mergers, and Securities and Exchange Commission enforcement cases. Ms. Balfour also represents clients in disputes involving breach of fiduciary duty, fraud, breach of contract, theft of trade secrets, and enforcement of buy-sell agreements. Ms. Balfour assists clients in responding to government investigations. 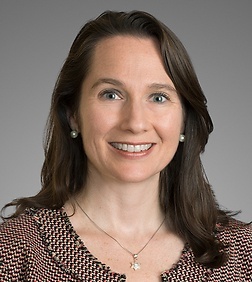 In addition, Ms. Balfour provides guidance to clients in a variety of industries on document retention, insurance coverage, and corporate governance matters. Ms. Balfour’s healthcare practice focuses on represents clients in proceedings initiated by the Office of the Inspector General, the Office of Civil Rights of the Department of Health and Human Services, the Department of Justice, and other federal and state regulatory agencies. Elizabeth advises hospitals and medical groups in relation to HIPAA, MACRA, and mandates arising out of the Affordable Care Act. She advises management companies in relation to disputes involving the provision of property and healthcare practice management services. Elizabeth advises public hospitals on Brown Act and conflict of interest laws compliance. Ms. Balfour clerked for the Chief Judge of the United States District Court for the Southern District of California. Representing former officer of a publicly traded company in relation to the Board of Directors Special Litigation Committee’s investigation of allegations in a derivative shareholder suit in Delaware Chancery Court. Represented a medical group in an investigation initiated by the Office of Civil Rights of the Department of Justice. Represented a footwear company in a derivative lawsuit brought by a shareholder alleging breach of fiduciary duty. Obtained a favorable settlement. Represented national franchisor in litigation filed by franchise group. Obtained complete dismissal of all claims. Represented software company in federal securities class action against homestore.com and AOL. Motion to dismiss on behalf of client was granted and resulted in published opinion regarding "secondary liability" under Section 10(b) of the Securities and Exchange Act. Represented a national bank in an action brought by franchisees of a tax preparation service in which plaintiffs asserted unfair business practices and sought to certify a nationwide class. Obtained a complete dismissal of the action before any discovery had occurred. Represented a private, for-profit, university in an action against a former employee asserting claims against the former employee arising out of the former employee's improper disclosure of confidential information. Represented a national bank in a lawsuit in which plaintiffs attacked the bank's lending practices and sought to certify a nationwide class of bank customers. Obtained an order dismissing plaintiffs' claims under the Consumer Legal Remedies Act. Settled the case after limited discovery. Advised a manufacturer of office technology products in conjunction with products liability claims and reporting to the U.S. Consumer Product Safety Commission. Represented a national weight loss company in a class action lawsuit alleging unfair business practices and misrepresentation. Defeated motion for class certification and negotiated a class-wide settlement involving minimal payments to the two named plaintiffs and a coupon offer for company product to any other putative class-members. Represented a for-profit education company and its principal in an investigation of the company's compliance with immigration and tax laws. Defended a Foundation accused of committing tax violations and successfully opposed the Government's request for a temporary restraining order and appointment of a receiver. Ultimately, the Government withdrew its case and the Court found the Government was required to pay the Foundation's legal fees incurred in opposing the Government's action. Represented the President of a corporation in an enforcement action brought by the SEC for an alleged Ponzi scheme involving PinnFund mortgage company. Negotiated a settlement of the enforcement action with the SEC that involved working with the court-appointed Receiver and a bankruptcy Trustee. Represented a provider of international telecommunications services as plaintiff and cross-defendant in federal court, in an action in which the parties sought damages for trademark infringement, misappropriation of trade secrets, and unfair competition. Represented a company whose controller was convicted of embezzling over $1.5 million in both civil and criminal proceedings. Represented a victim of securities fraud in NASD/FINRA Arbitration proceedings. Case involved unauthorized trading and churning by the broker and failure to supervise by the brokerage firm. After a 5-day arbitration proceeding, reached a settlement with the broker and brokerage firm. Represented a manufacturer in a products liability case against a materials supplier. As a result of defective products, manufacturer suffered damages of over $13 million, including loss of business. Took critical depositions, after which the case settled on favorable terms for the manufacturer.